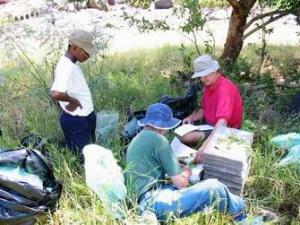 Biosystematics Research & Biodiversity Collections form the basis of SANBI’s research activities. 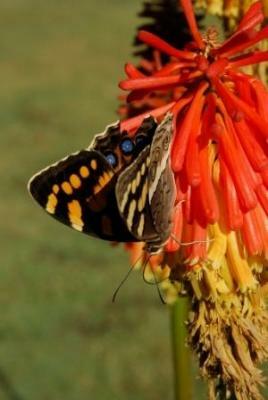 This division investigates, classifies, names and documents southern Africa’s biota. It is also responsible for extensive collections of pressed specimens of southern African flora housed in the three herbaria which form part of this division. It generates information available to other divisions within SANBI, conservation authorities, decision and policy makers, the general public, and a host of other stakeholders. The DNA bank, linked to the Molecular Ecology programme at SANBI, houses DNA of flora from the Cape Floristic Region and Herpetological tissue for research purposes. Biosystematics research at SANBI focuses on morphological, molecular and anatomical observational studies, and is mostly carried out in SANBI’s three herbaria i.e. the National Herbarium (PRE) in Pretoria, the Compton Herbarium (NBG) incorporating the South African Museum Collection (SAM), in Kirstenbosch, Cape Town, and the KwaZulu-Natal Herbarium (NH) in Durban. The DNA Bank is based at Kirstenbosch. SANBI’s Biosystematics Research and Biodiversity Collections Division is increasingly embracing biodiversity in its broadest sense and is seeking partnerships with natural history collections and museums.